Has there been another producer of Pinot Noir in California that has caused as much buzz among Pinot enthusiasts? The emphasis here is on meticulous management of the vineyards using a combination of cutting-edge technology and a highly skilled vineyard team. 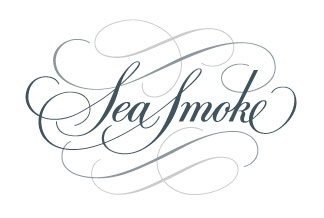 Sea Smoke is one of a handful of California Pinot Noir producers whose fruit-powered style has quickly captured the attention of pinotphiles. Bob Davids, a Burgundy aficionado and CEO of a highly successful computer game company, acquired 350 acres of farmland overlooking the Santa Ynez River in 1999 and began development of the 105-acre Sea Smoke Vineyard the same year. He chose south-facing hillside bluffs situated above Fiddlestix Vineyard in the Sta. Rita Hills appellation of Santa Barbara County. From the beginning, the emphasis has been on meticulous vineyard management led by a highly skilled vineyard team.